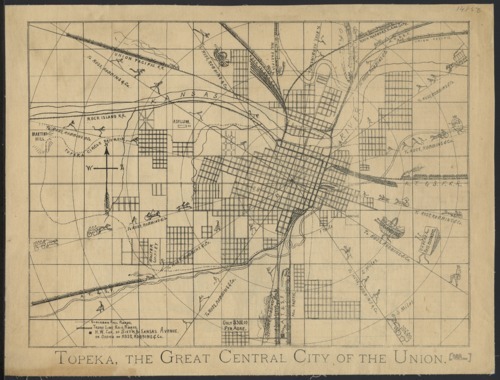 A map of Topeka, Kansas, used to draw merchants and businesses to the city. On the reverse side of the map is a drawing and description of Topeka that lists the city's attributes, mainly focusing on the railroads in the area, such as the ATSF, Rock Island, Missouri Pacific, and the Union Pacific. Topeka. The great central city of the union.